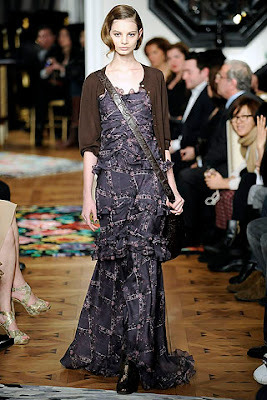 I posted yesterday of one way to wear maxi dresses in Autumn, and now here are some runway interpretations. 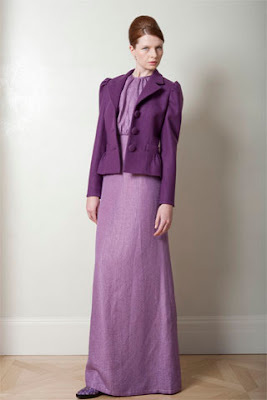 Whether it's a coat, blazer or trophy jacket, there are plenty of ideas of how to hijabify that dress. Which is your favourite look? I'm not big on jackets or other externals unless I'm going outside in the cold. I loooove loooove LOVE dresses that have full, swishy skirts! Salaam! I'm definitely loving the Ralph Lauren style the most, simply because it's so simple, clean-cut (literally) and easy to copy. 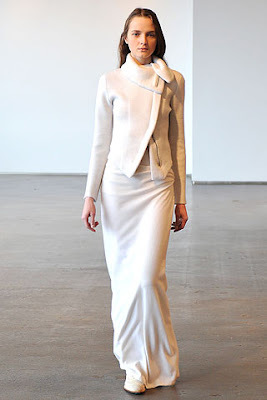 The wrapover white cowl-neck shrug is very "Audrey" in my opinion, and the tailoring is very feminine and playful. Thumbs up! Love the last two purple ones. 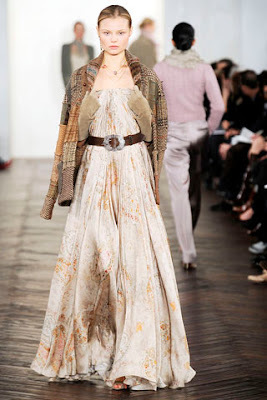 First one is very old fashioned and I love the long jacket with the second one. I'm amazed that the fashion designers are actually making these kind of clothes. I love these styles! The RL ones are so gorgous, especially the second one! 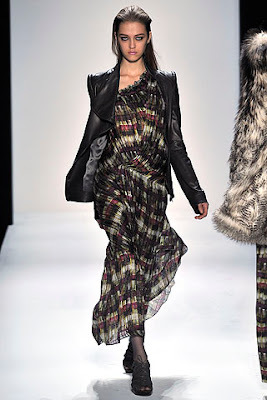 And I quite like the DSquared first one with the plaid scarf! I'm all about the purple! It's easy to see how that would be modest and cover the curves. 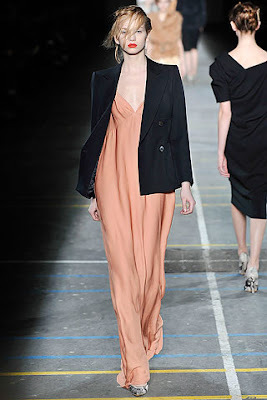 I like the peach with the black jacket, but I think the material would be too clingy. Great look though. Beautiful! love all the looks. Thank you for all the wonderful posts, Jana! 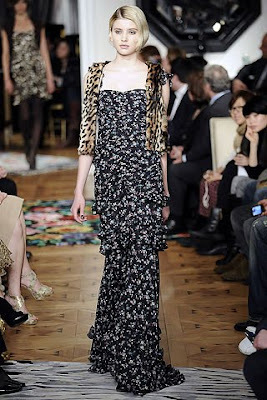 I love that it is a lot of long skirts this season but I wish there were more in the stores! I love the white TSE deux-pieces. It's modest, yet totally fashion-forward and architectural.